At Advanced Dental Concepts, we do our utmost to prevent common oral health issues, but when we’re unable to stop these concerns before they start, we make every effort to conserve the maximum amount of healthy dental structure while completely removing decay and damage and fully restoring lost form and function to smiles. We’re able to do this by utilizing the latest dentistry techniques and technologies. 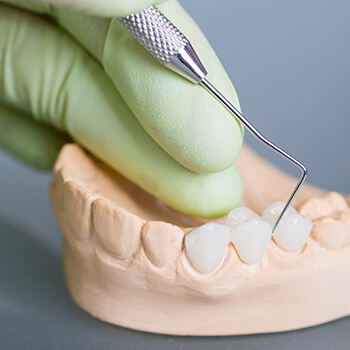 If you’re interested in finding out more about restorative dentistry services at Advanced Dental Concepts, we invite you to contact our team to schedule an appointment. 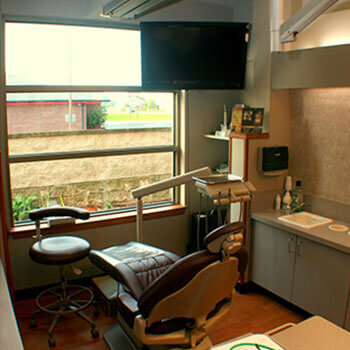 Patients who need dental crowns should plan to visit our office two times. During an initial appointment, we remove a small amount of dental structure to accommodate the dental crown. We then capture digital impressions of the prepared tooth that are used by the dental lab to craft a custom crown. Finally, we place a temporary crown to protect the prepared tooth. Once we receive the final restoration from the lab, patients return to exchange their temporary for a custom dental crown. In the past, dentists used amalgam, metal filling materials to repair minor dental damage and decay. While these materials offered a durable filling and repaired the form and function of damaged teeth, they also required the removal of healthy tooth structure and were immediately noticeable within the smile. We almost always use tooth-colored, composite resin fillings at Advanced Dental Concepts. Unlike traditional amalgam fillings, composite resin is blended to match the natural shade of the smile. Applied directly to the tooth in a putty-like form, the tooth-colored filling material allows the dentist to restore the damaged part of a tooth without removing healthy dental structure to accommodate the filling. Best of all, the whole process is completed in just one appointment at our office. Root canals have a reputation for being painful, but these treatments are actually used to relieve the painful toothache that results from tooth decay or damage that occurs in the innermost layer of the tooth. The soft, inside layer of the tooth is known as the pulp, and all of the tooth’s nerves are housed inside its pulp. When damage or decay accesses the pulp layer, the nerves are directly affected leading to a severe toothache. A root canal removes this damaged pulp tissue, relieving toothaches. The process is fairly straightforward. The dentist drills a small access hole through the top of the tooth to the center. Then, he extracts the pulp and nerve tissue. Next, we refill the damaged tooth with a comparable substance. Finally, we reseal the access hole. In most cases, we’ll recommend the placement of a protective dental crown as well. 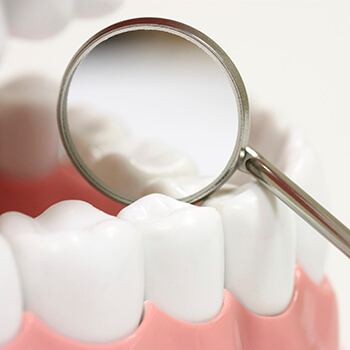 If you experience advanced tooth loss, it’s important to seek out tooth replacement right away. 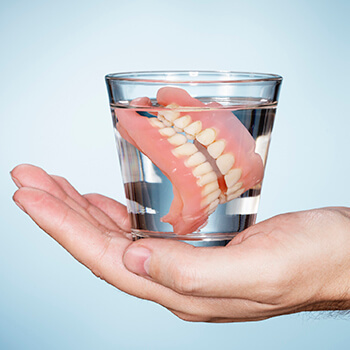 For those patients with extensive tooth loss, partial or full dentures may be the best solution. Partial dentures are used to replace a number of teeth along an arch. A gum-colored base is crafted to fill the gaps in patients’ smiles. The base supports the replacement teeth, and is held in place by clasps connecting it to healthy teeth. Full dentures are similarly crafted from a gum colored base that supports a full arch of replacement teeth. However, since there are no remaining teeth to support the denture, the base is crafted to fit snuggly against the gums staying in place through natural suction. We also offer dental implant supported dentures for improved stability.